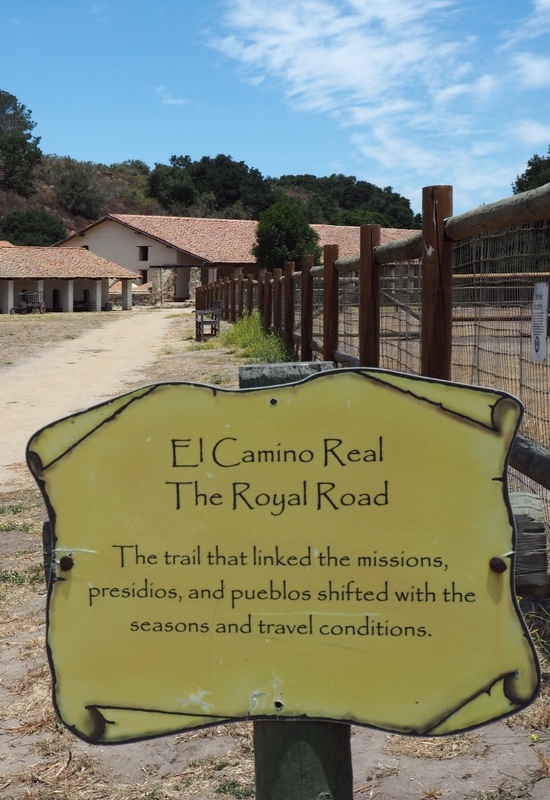 Of the twenty-one missions that dot the coast of California, La Purisima Mission, in Lompoc, has always been a favorite of mine. As kids, my friends and I used to pack a picnic lunch and ride our bikes out to the mission grounds, eager to explore the gardens, pat the livestock and wander through history. 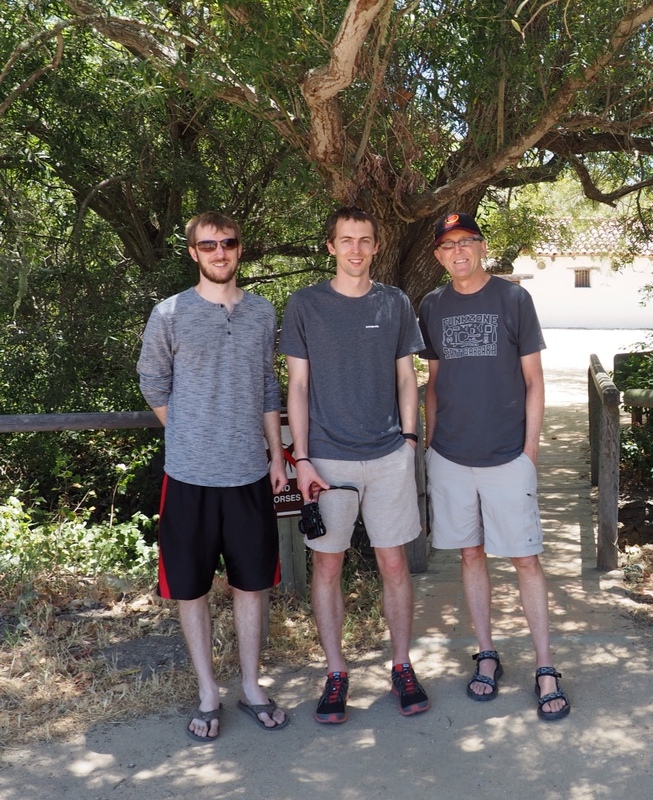 Years later my three boys loved their childhood visits to La Purisima just as much as I did…so on a recent trip home for my Dad's 90th birthday, Reg and I returned with two of my (now adult) sons to relive the memories. 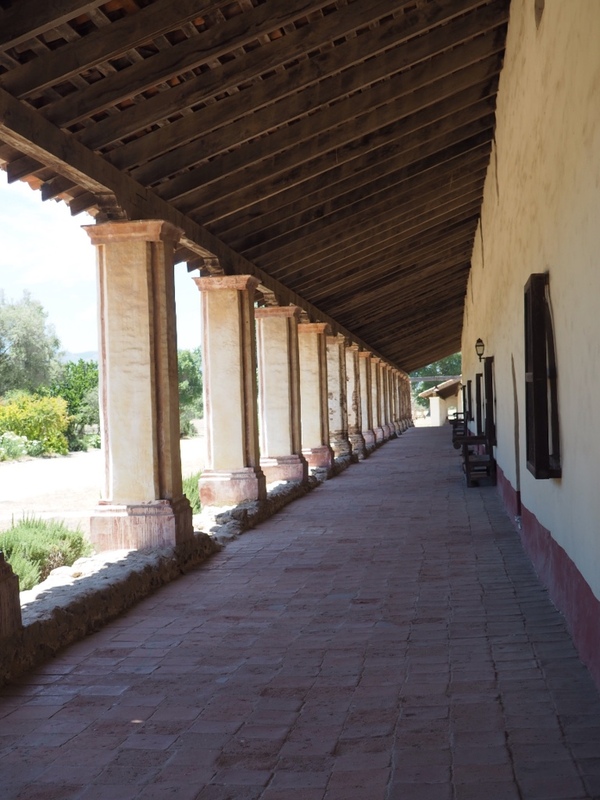 La Purisima is one of the most completely and authentically restored missions, so be prepared to let your imagination take you on a trip back through time. Individual rooms are furnished as they would have been when it was a bustling community hub. Wander into the church, shops, blacksmith shop, living quarters and more. Walk the trail that leads to days gone by. Wear your walking shoes. 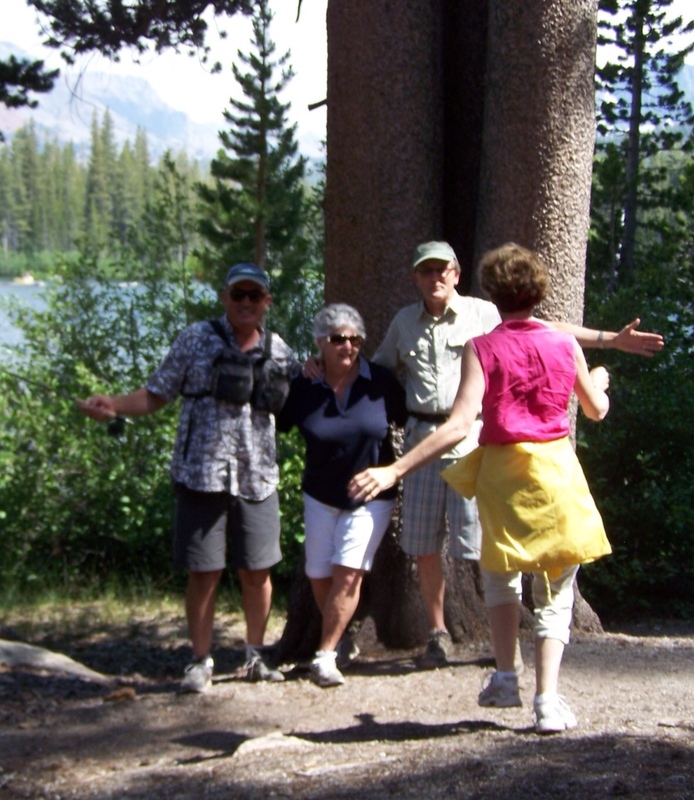 There are miles of hiking trails around the perimeter of this 1,860 acre park as well as paths through the gardens and around the buildings. The bell tower stands out as an easily recognizable symbol of La Purisima. 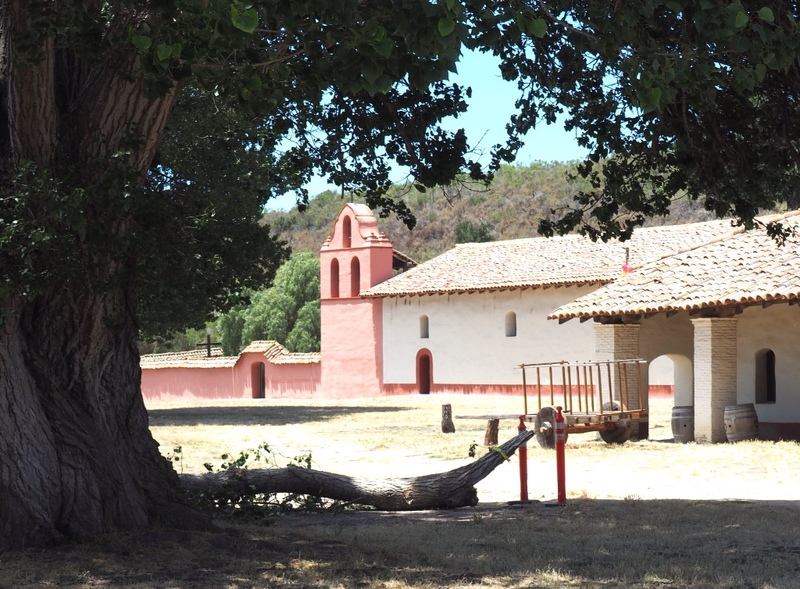 Restoration and reconstruction of La Purisima Mission was done by the California Conservation Corp (CCC) and began in the 1930s. The livestock is still fun to see...but don't feed them! 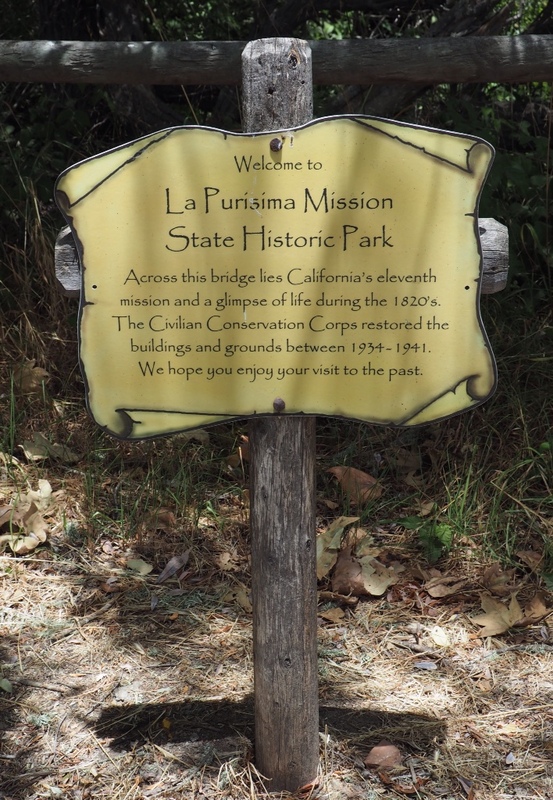 The Visitors Center is the best place to learn the history of La Purisima and to start your tour. Be sure to allow enough time to see this treasure of California's Central Coast…and don't forget your lunch! Thinking back over the years, we should have paid more attention to our first “travel light” experience. 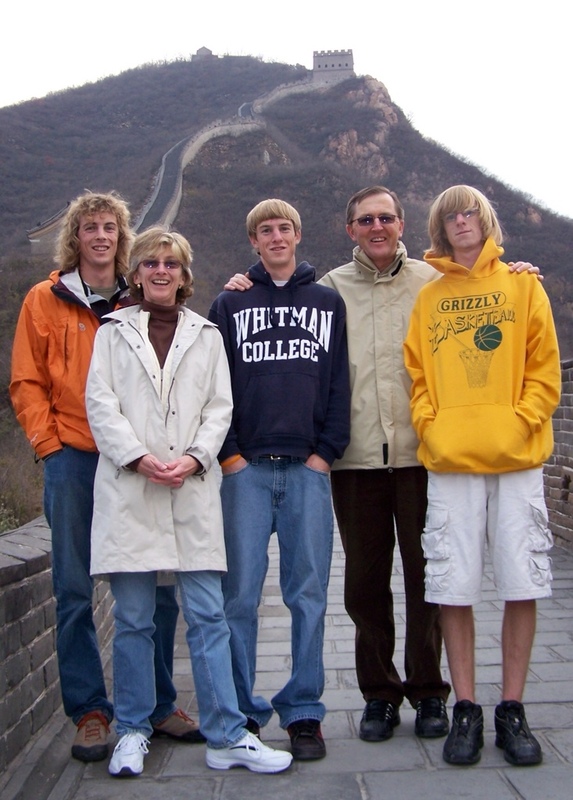 It was the spring of 2006, and Andrew was graduating from high school that June. 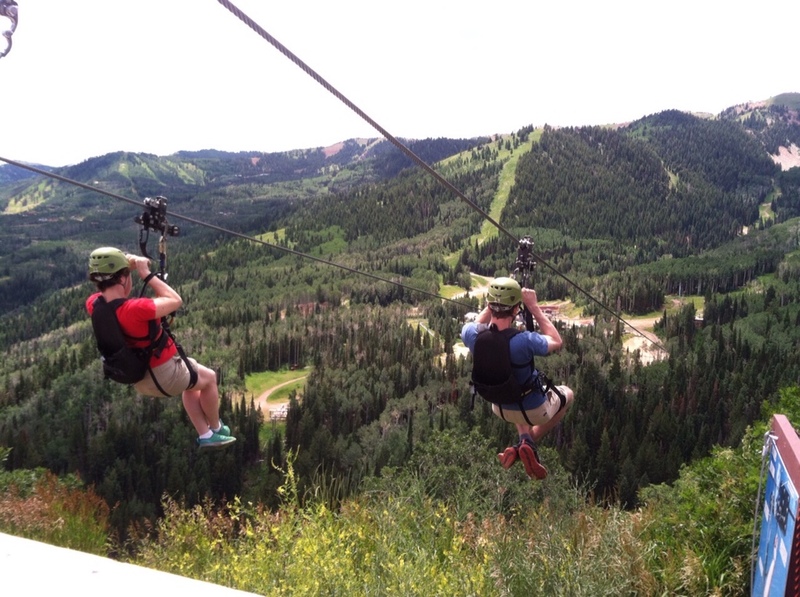 Brad and Chris were two years behind him, entrenched in life with their friends and various activities. 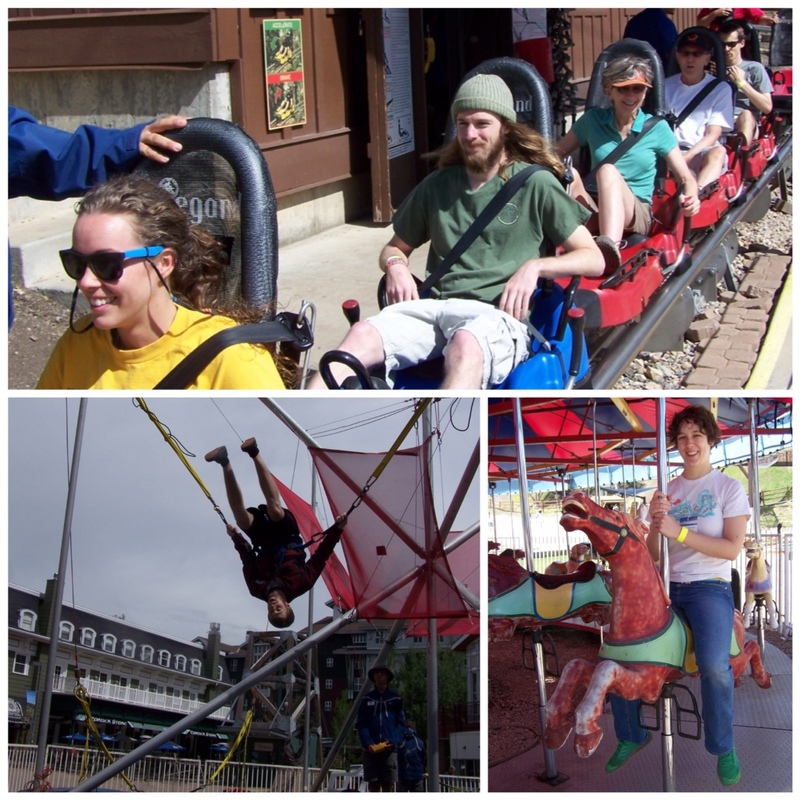 Time was running out for family vacation memories. Our mules were well trained for this photo op! 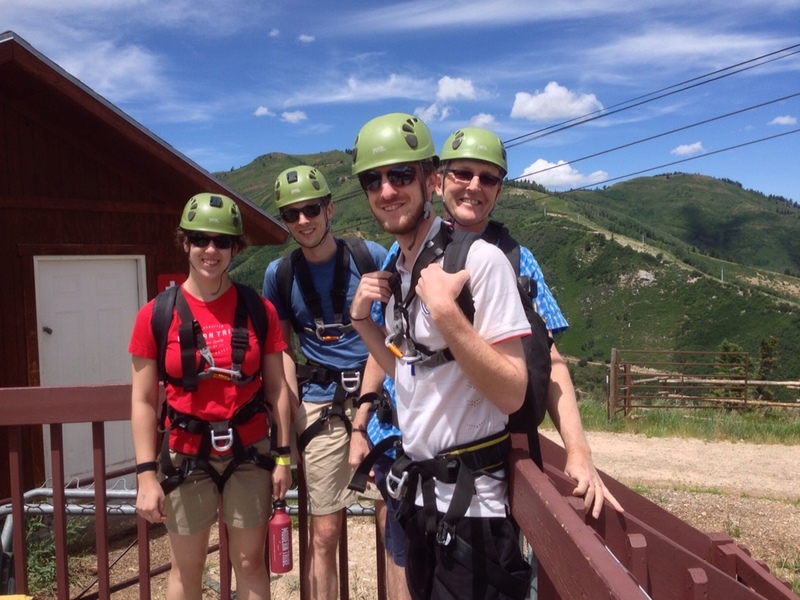 How could we generate enthusiasm from our three teen-aged sons for a weeklong trip? With a little outside-of-the-box thinking (and five cowboy hats) we found ourselves astride the mules at the Grand Canyon, facing downhill! After a short “pep talk” informing us that mules are not the easiest way to experience the Grand Canyon and that if anyone wanted to back out, “now is the time to do so,” we headed down the Bright Angel trail behind our guide Patrick. We were bound for Phantom Ranch, a beautiful but rustic guest ranch at the bottom of the canyon, where we would spend the night and ride up the next day. Checking in the previous day, we were each handed a plastic bag, only slightly larger than a hot water bottle. We were told whatever personal belongings countered able to fit into the bag could make the journey with us down the canyon for our overnight stay. We all carefully decided what was important and then tried to squeeze in just one more thing. 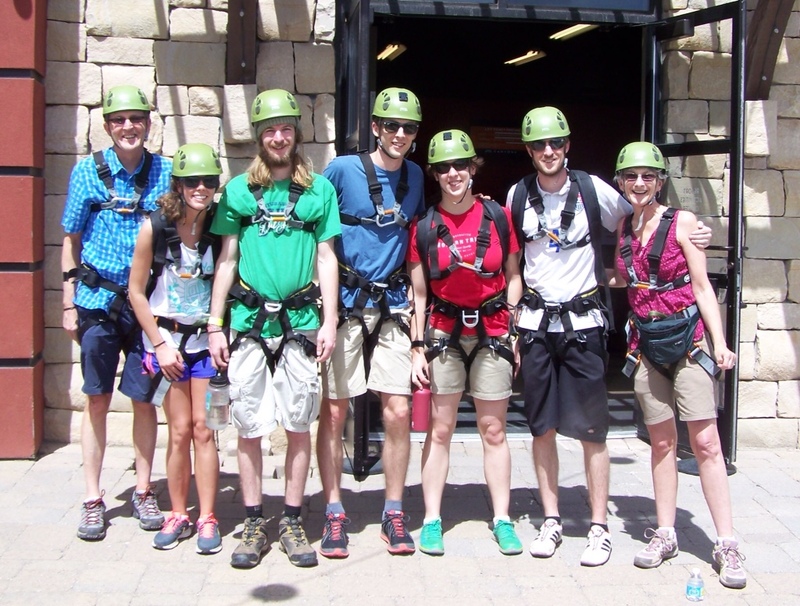 Despite the lack of luggage, I think this was one of our most memorable vacations. 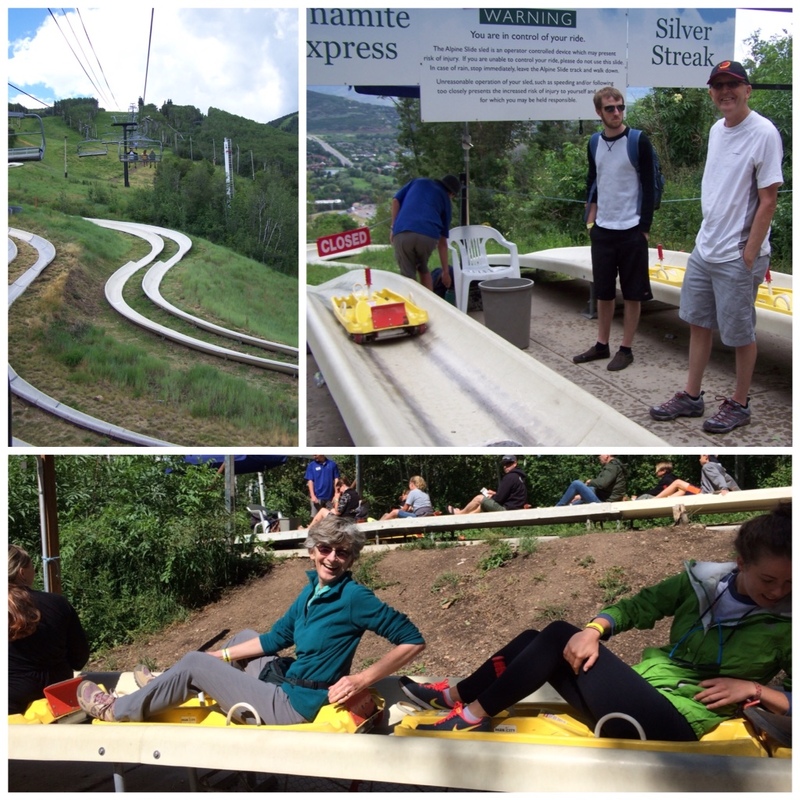 On the ride back up to the rim, a fellow traveler asked our boys to each rate the trip on a scale from one to ten. 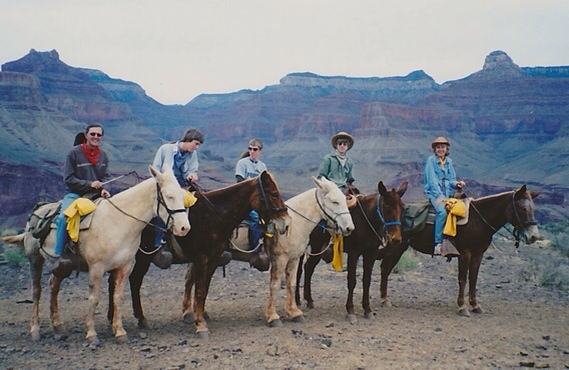 After two days of sitting atop a mule, no electronics and only the endless canyon views, we were thrilled to hear ratings of nine or ten from all our kids. We're learning…take less and see more! I have always loved photography…ever since Denise (my best friend from childhood) and I saved our allowances (fifty cents/week – we were probably about 10 years old) to buy our Kodak Instamatic 104 cameras…at the time, they were amazing; drop-in film cartridge and pop-on flash cube…so easy, so cool! I went on to take several photography classes in high school, followed by a couple more in college. With a good 30+ years of practice, one might think I would have a pretty good command of the features on my camera (like the timer) but the digital world still baffles me.